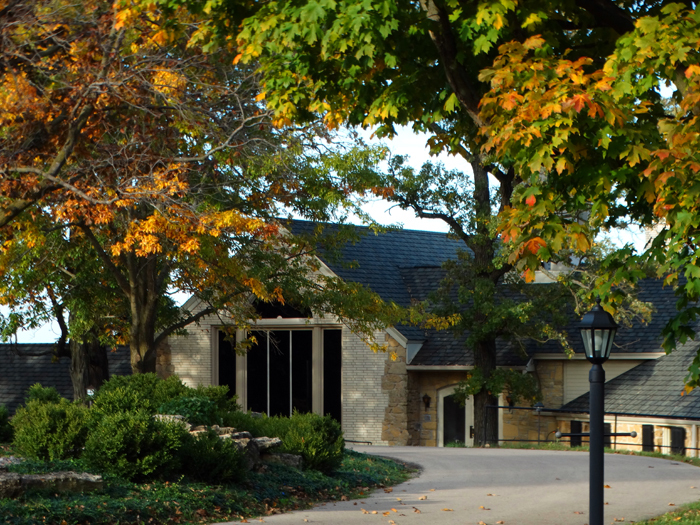 On October 18, 1964, 13 young sisters left Mt St Mary Abbey in Wrentham Massachusetts to found a new monastery in Dubuque, Iowa. The community at Wrentham was bursting at the seams with the great vocation influx of the 1950's, and by 1960 a building designed for 60 sisters was accommodating more than 70. To Mother Angela, the abbess, this seemed a clear call from the Lord to start a new monastery. Originally, our foundation was intended for Argentina. 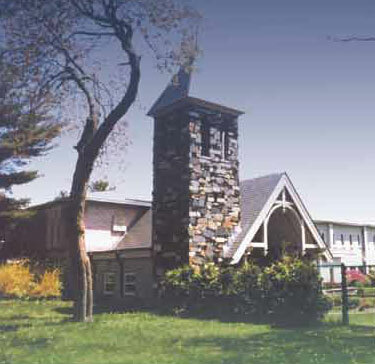 The monks of Spencer, MA had made a foundation there in 1958 and hoped to have a sister house. However, the project fell through (one of our women's houses in Italy did make a foundation in Argentina in the late 1970's), and M. Angela asked the American abbots for possible sites here in the States. With the approval of Archbishop Byrne, Dom Philip, abbot of New Melleray, and his brothers invited us to Dubuque - the beginning of a happy relationship between our two monasteries. Dr. Joseph O'Donnell donated a property in Clinton for a Trappistine monastery; when the property proved unsuitable, he made a gift of the sale for purchasing other land. In 1962 an undeveloped piece of land along the Mississippi River was bought, and the next year and a half spent consulting with architects. 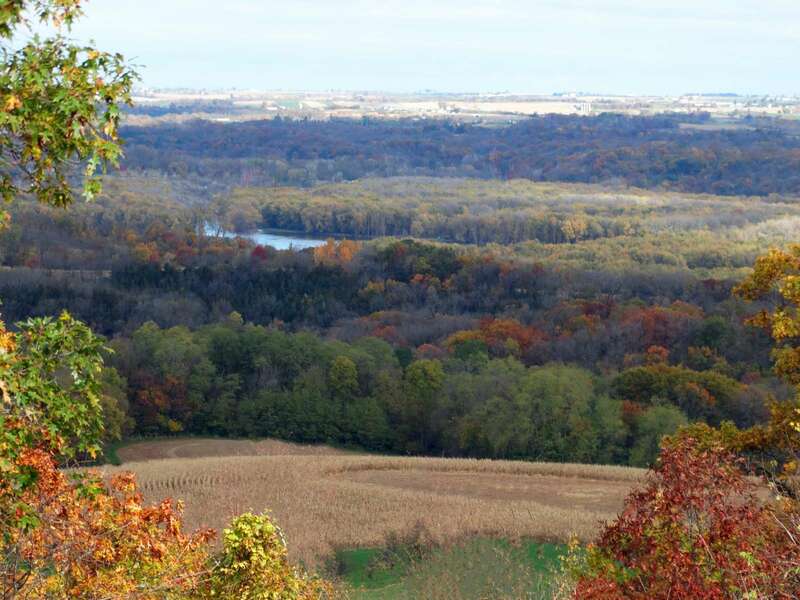 Then in July 1964 the Stampfer family's Hickory Hill property south of Dubuque was put up for sale. 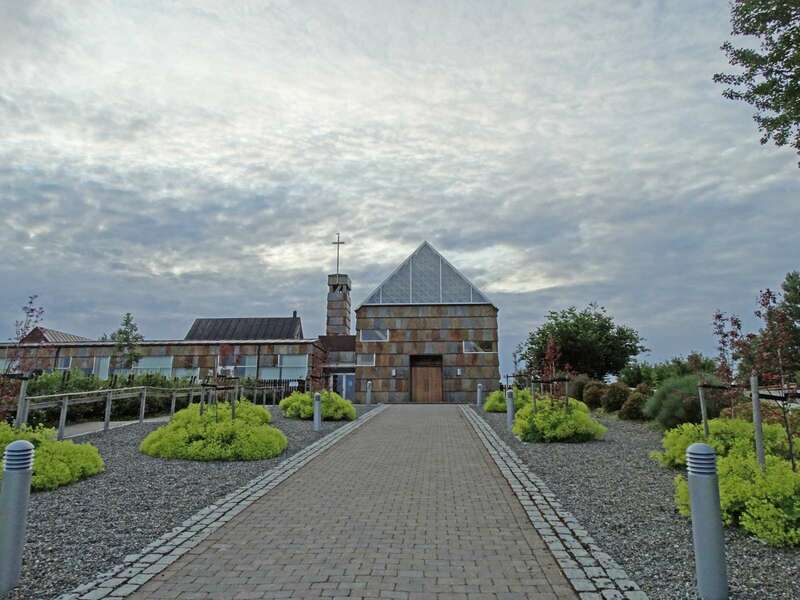 Fr Jim Kerndt, who succeeded Dom Philip as superior of New Melleray, recommended it as the site for the new foundation, and the property was purchased. Hickory Hill had a large private home which was renovated to make a temporary monastery for the sisters; there were also several smaller houses which have served for 40 years as guest houses and chaplain's house. Three barns and a corn crib were to prove invaluable when we began farming. The Rule of St Benedict says the abbot is believed to hold the place of Christ in the monastery. When a monastery is founded the new superior, at the head of her new community, is a presented with a special cross to lead the group to the chosen site. Our foundation cross still hangs in our cloister. For centuries it was customary for the founding group to number 13, in imitation of Jesus and his 12 apostles. Mother Angela had picked Sr Columba Guare to be superior of our foundation even before the Argentina plan was dropped, and in August-September of 1964 she selected the remaining 12 founders. Three of these, who were not yet in final vows, would leave in the early years of our history; two others are now in our daughter house in Norway; two are living away from community; four have gone home to Jesus, and two are still here at Mississippi: Srs Gail, and Joan - much honored and revered by the rest of us!